If you want to make tastier meals faster and conveniently, consider buying a 27-inch wall oven. Whether you want to make breakfast for the kids, a snack for your better half, or warm your own food, there is always an option that lets you get the results you desire. The 27-inch wall ovens come in a variety of designs, meaning you can be sure to find something that will compliment your kitchen decor. These ovens allow you to cook multiple meals simultaneously, reduce the duration of time you spend on the process, and allow you to have peace of mind because almost everything is automated. 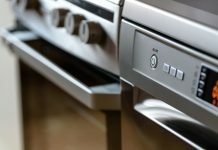 To choose the most ideal 27-inch ovens on the market, we considered the various functions each oven is capable of providing. The overall design and compatibility with most kitchen settings is another factor that plays a role. The pricing, safety measures, and we took ease of use into consideration. This oven features stainless steel construction that keeps it durable and ensures it does not stain or rust. The stove features a self-clean option that utilizes steam to get rid of grease and other debris that may build up. Glass touch controls allow you to adjust settings that include temperature and cooking options. A halogen interior light makes it possible for you to have a look at the dish you are preparing without the need to open the door, possibly losing valuable heat. This appliance is available on AJ Madison with a customer rating of 4.5 out of 5-stars. This oven features two different compartments, allowing you to prepare various dishes simultaneously. Additionally, the unit is relatively easy to maintain, as you only have to wipe the outer part with a wet piece of cloth and turn on the self-clean option to have the inside cleaned. Some consumers note that the interior coating on the racks comes off with frequent removal from the oven. That may cause rusting of the rack’s metallic parts. 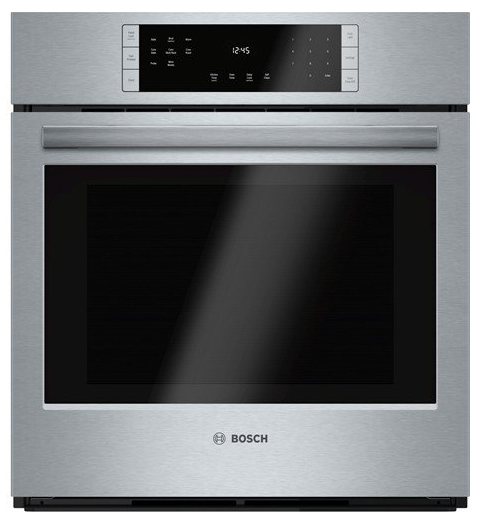 This 27-inch wall oven features a stainless steel design with a plastic panel. The stove offers 12 cooking modes, including third element convection, convection bake, convection broil, convection roast, conventional heat, half-width variable broil, pizza, top heating, and warming. 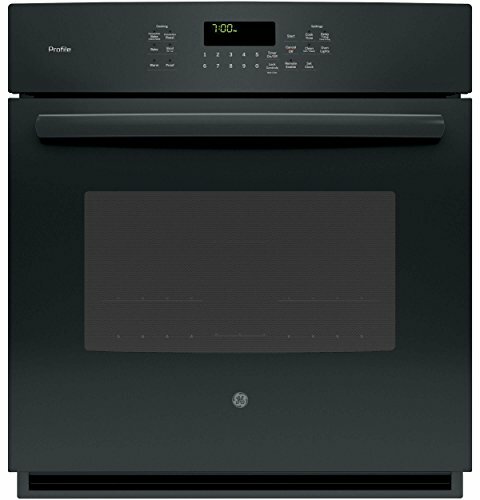 This oven is available on Amazon with a customer rating of 4.7 out of 5-stars and a price range of $2,200 to $3,200. Self-cleaning options allow users to get rid of debris and grease quickly and conveniently. Digital controls make it possible for individuals to adjust temperature, time limits, and cooking mode easily. 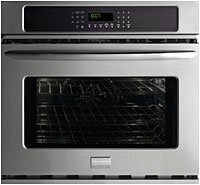 Some customers claim that the sound notification on this oven is relatively low and may not be audible in a noisy environment. 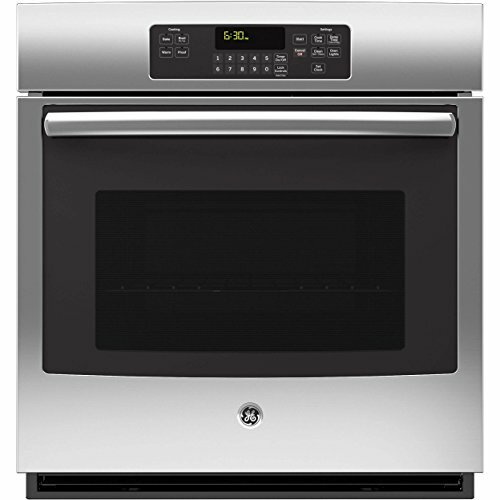 This 27-inch wall oven features a stainless steel body and a smudge-proof stainless steel exterior door finish. An interior light allows you to monitor progress as your dishes cook, while a control lock ensures that no one can tamper with your settings. Express-select controls will enable you to adjust temperatures to a level you deem fit. These controls also have preset temperature ranges for one-touch cooking. An auto shutoff feature guarantees that the unit will automatically turn off after six hours. This oven is available on AJ Madison and Amazon with a customer rating of 4.3 out of 5-stars. 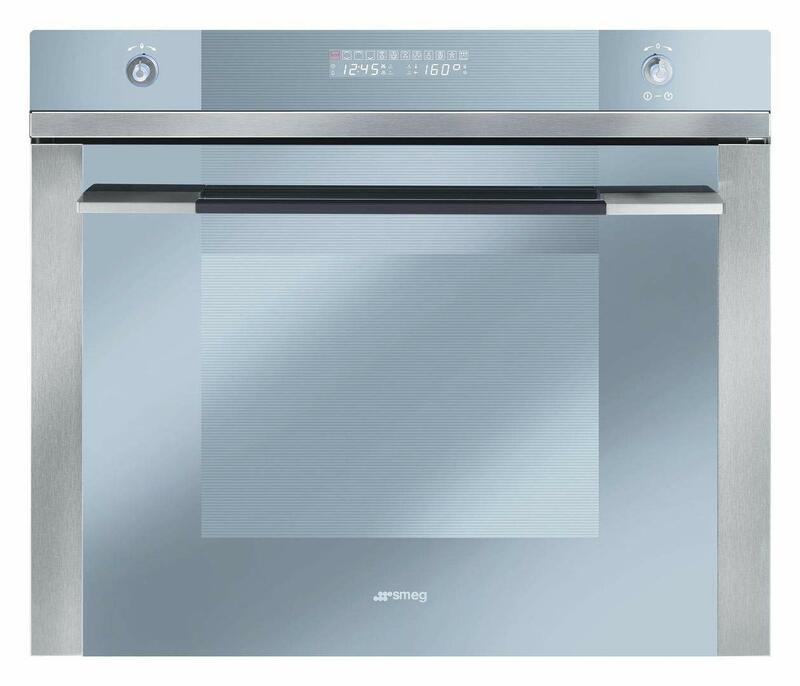 The Linea 27-inch wall oven features a stainless steel body. It has a bright display panel that allows users to monitor settings. The oven offers 12 different cooking modes, giving you the flexibility to prepare different meals with the touch of a button. A rotisserie kit enables users to make dishes such as large roasts, chicken and turkeys. This 27-inch wall oven goes at a price range of $2,300 to $3,500. 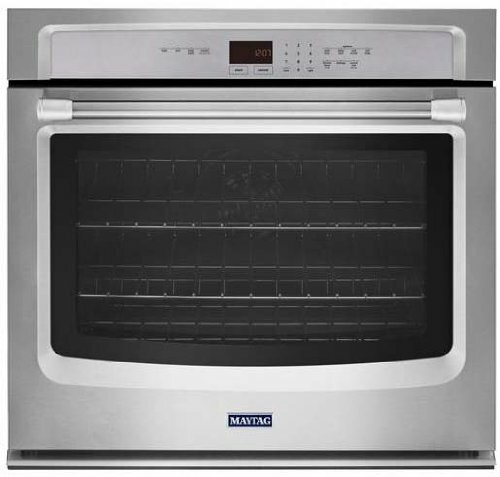 This Maytag 27-inch wall oven features a stainless steel body and a tempered glass door that allows users to monitor their food as it cooks. The unit comes with an under counter installation design, which makes it possible for you to fit it under a cooktop or counter and maximize on kitchen space. Its power preheat option ensures that you can cook 30 percent faster than when you use a traditional oven. This unit is available on Amazon at a price range of $950 to $1,500 but has not received any customer ratings yet. 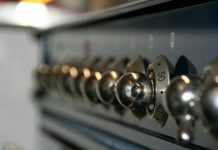 This unit features heavy metal stainless steel knobs that ensure it remains durable regardless of the frequency of use. Multiple racks allow users to bake well as heat distributes uniformly. Two oven lights in the upper cavity and two other lights in the lower cavity make it possible for users to monitor the progress of their dishes. The unit is available on Amazon with a customer rating of 4.4 out of 5-stars. It has a price range of $2,700 and $3,500. This wall oven makes use of convection heating technology. That means a third heating element and a single convection fan circulates hot hair throughout the unit, thereby achieving a faster, more evenly distributed baking pattern. The steam cleaning option enables users to get rid of debris and dirt in less than 20 minutes. 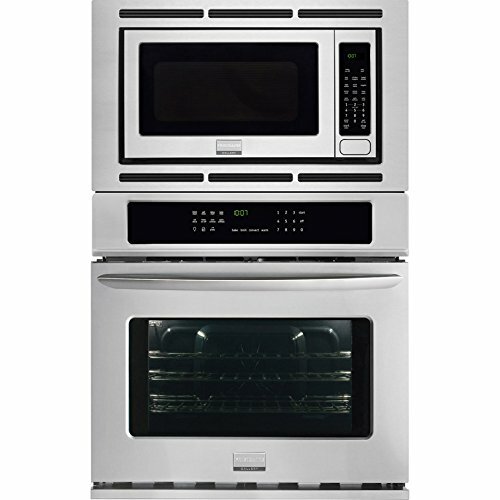 This unit is available at Frigidaire with a customer rating of 4.4 out of 5-stars and goes at an MSRP of $1,749. 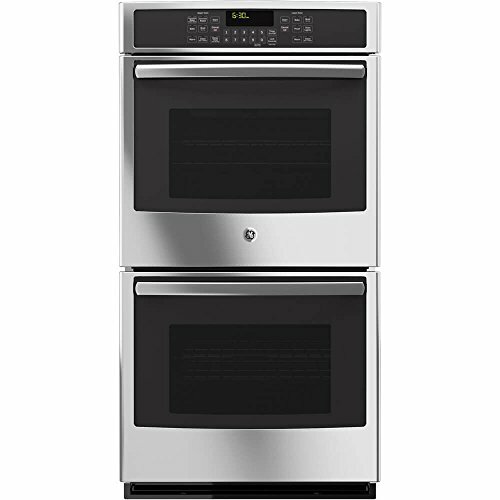 This 27-inch wall oven features a black stainless steel body that keeps it sturdy and durable. The unit has a glass touch LED control panel that lets users choose the settings they desire. Its self-clean option eliminates the need to manually remove dirt and debris while two interior halogen oven lights ensure you can monitor food as it cooks. This oven is available on Amazon with a customer rating of 4 out of 5-stars. It sells at a price range of $1,800 and $2,500. 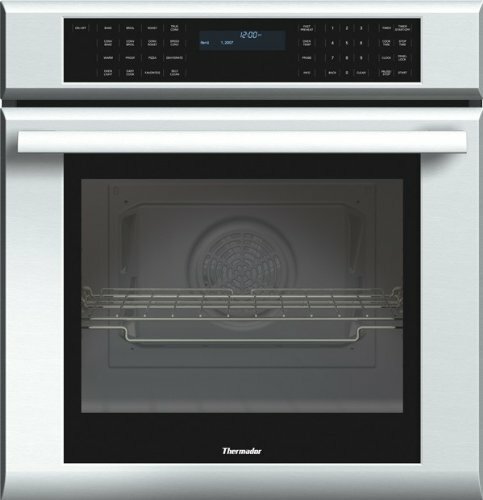 This Thermador 27-inch wall oven comes with 14 advanced cooking modes that give you the flexibility to prepare different dishes with the touch of a button. A blue full-text display allows you to view the settings you enter while six adjustable rack levels let you prepare different dishes simultaneously. It has a stainless steel build and a large tempered glass window for easy monitoring of the food that is cooking. 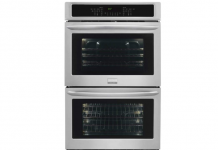 There is a variety of 27-inch ovens on the market for you to choose from. To get the most suitable product for you, consider issues such as size, safety, functions, cooking capacity, ease of use, and price. The functions of the oven you pick should be another critical factor you take into consideration. Some ovens feature preset options that allow you to prepare different types of dishes with the touch of a button. Options such as bake, defrost, warm, and pizza are common. The last thing you want is a 27-inch wall oven that features complicated controls and complex settings. Instead, go for an oven that has a simple user interface. The controls can be digital or analog depending on what you prefer. All the controls should be clearly labeled and positioned in an area that is easy for you to access. Ovens with default settings allow you to reset everything if you make any errors while trying to make adjustments. The oven you pick should incorporate various aspects of safety. One of the things you need to consider is an automatic shut off capability. This option ensures that your oven can turn off by itself if the food ready. The automatic shutoff enables you to use energy efficiently and helps eliminate any possibility of a fire outbreak. Audio and light notifications are also other features that enhance safety. The overall amount of money you have to part with when acquiring the appliance of choice should equally play a role in your selection. There are a variety of products on the market with each brand and model selling at a different price. The key is for you to assess the features, functions, and durability of each product before settling on the one that goes at a reasonable rate. Before you purchase any 27-inch wall oven, find out about the type of warranty it comes with. The best ovens have at least a one year warranty. However, ideally, the warranty should last for at least five years. The materials that manufacturers use in construction can help you determine the best product. Stainless steel and tempered glass are some of the materials that make for a durable and easy-to-clean unit. Keeping your oven clean can be one of the most challenging tasks. That is why you should go for units that feature easy-to-clean parts. Those with removable parts and non-stick interior coating are often better, as they offer simple cleaning solutions. 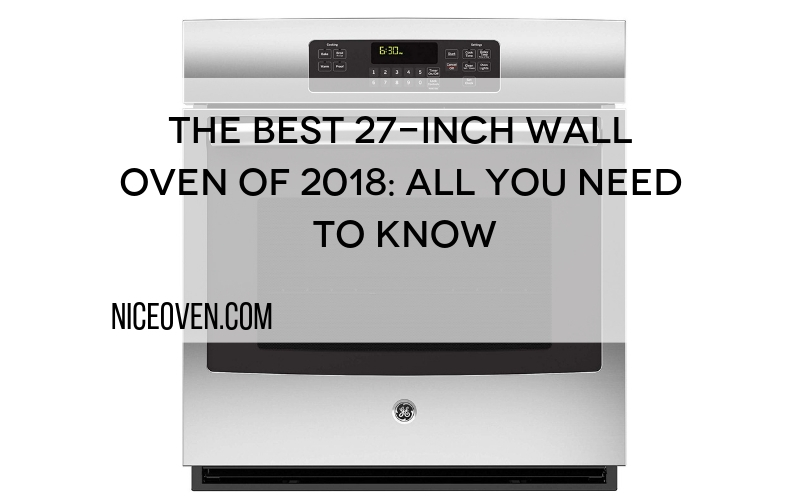 The primary key to finding the ideal 27-inch wall oven is to consider your own needs. Choose a unit that offers the functions you are most likely to use. Another important consideration for you to make regards pricing. Pick a product that you can comfortably afford. 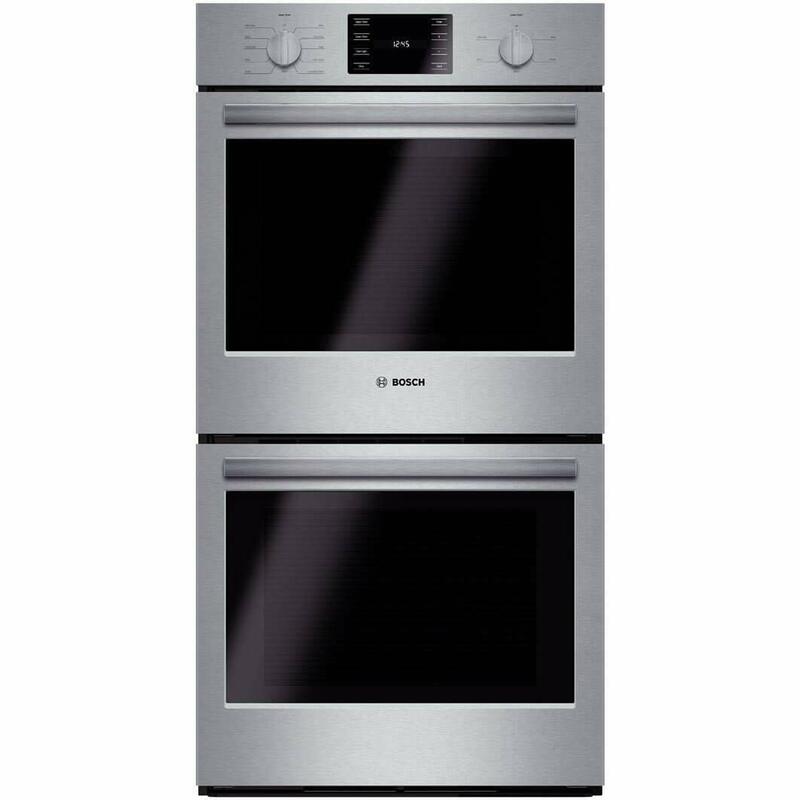 The GE JK5500 27-Inch Double Electric Wall Oven is durable and sells at a relatively affordable rate. It offers multiple functions and has an easy to use interface. The other units on this list also have unique features that can be helpful to different families. 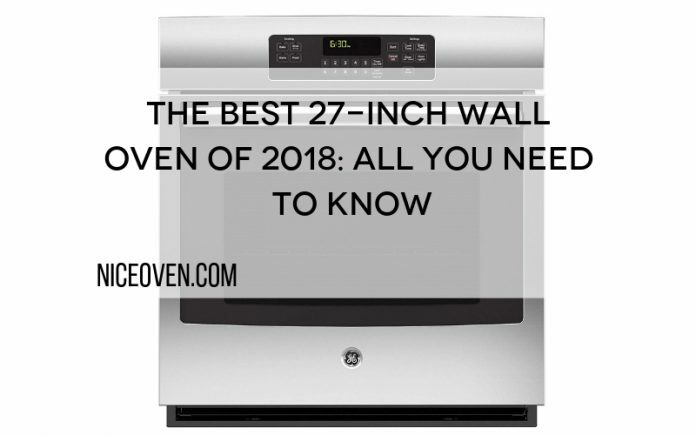 Do you have any of the ovens on this list or a different 27-inch oven? What's your experience? Let us know!